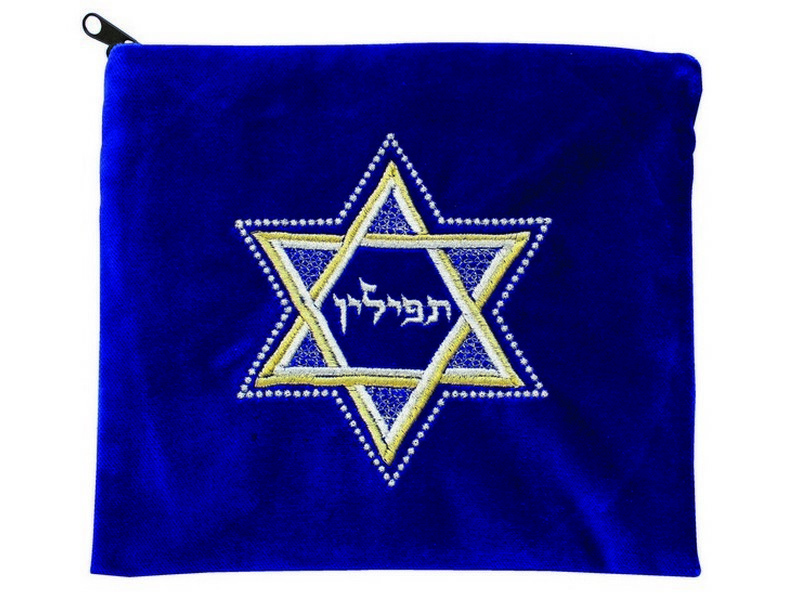 This royal blue colored velvet tallis/tefillin bag has one of Judaism’s most well-known and prominent symbols. The Star of David is embroidered in the center with double lines of gold and silver colored thread. Small dots surround the outline of the star. The Hebrew word “tallit” or “tefillin”, depending on what style is selected, is embroidered with gold colored thread in the center of the design. This bag has the option of adding custom embroidery with Hebrew or English. An optional clear plastic slip-on protective bag is available.